Water quality data from the St. Joseph, St. Marys, Auglaize, and Upper Maumee River watersheds is NOW available online through the Water Quality Information Service (WQIS). 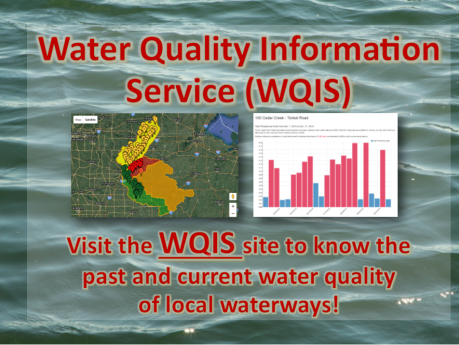 WQIS is a resource for researchers, agency officials, and the general public for viewing, organizing, and presenting water quality data. The site is maintained by the St. Joseph River Watershed Initiative (SJRWI) in collaboration with the Environmental Resources Center (ERC) at Indiana University Purdue University Fort Wayne (IPFW).